There are so many custom fonts in the world of graphic design, and there may be a chance your logo or artwork has a special or unique one, that your printers may not have. When having your artwork printed professionally, whether for a flyer or for custom stickers, custom fonts can be a tricky part of the process. If your printer doesn’t have the same font files as what was used in your designs, then they may not be able to match it correctly, particularly if your design has to be scaled up or down to size. To make sure the fonts used in your artwork keep their same great look when your stickers are printed you can send over your additional font files along with your artwork. This way our Art Team will have the same fonts you used, in case they need to scale your artwork up or down for your custom sticker size. Another option is to make sure your fonts have been outlined properly, before sending over your artwork. This can also be easier for you in the long run for a few reasons. Outlining your fonts saves you the step of having to send over any special font files along with your artwork. Type as outlines is also useful for changing the appearance of larger fonts when you need to scale your image without adjusting each individual element in your design. 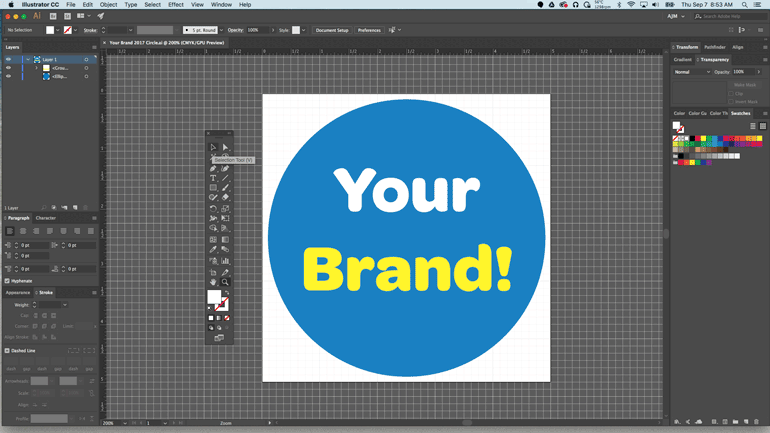 It’s also quick and easy to outline your fonts if your artwork was created in Adobe Illustrator. Let’s take a look at the few steps it takes to turn your fonts from a text, to an outlined element within your artwork. 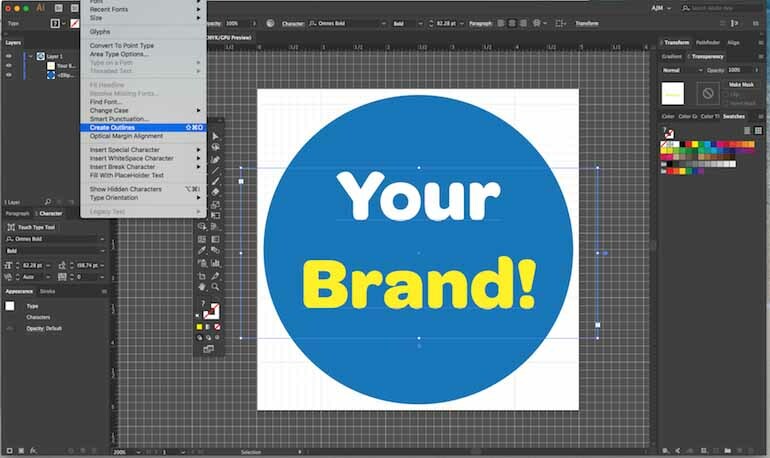 Open your file with fonts you need to outline in Adobe Illustrator. Then, use the selection tool, to outline the designated font. Quick Tip: If you love your keyboard shortcuts, the letter “v” on your keyboard, will also activate this tool for you quickly. With your text area highlighted, navigate to the Type menu and choose the option to Create Outlines. This will automatically outline all of the text within your selected area, and enable you to resize your artwork, while maintaining the design quality of any text in your image. Before finishing and saving your file, take a moment to verify your font has been outlined. Select the View menu, and choose the Outline option. 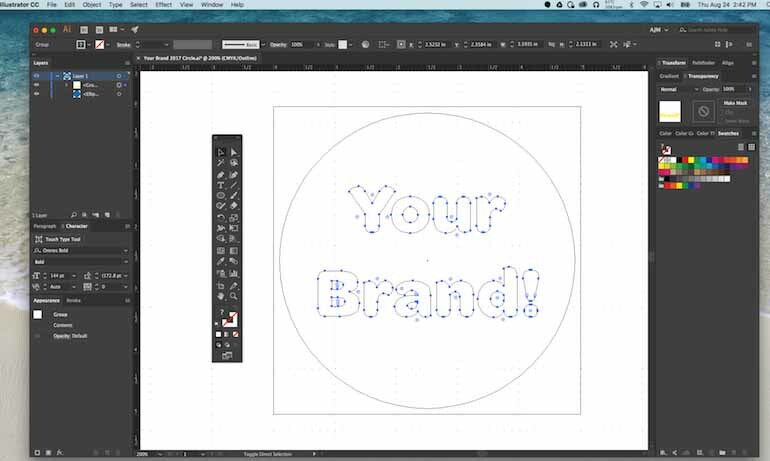 This will show you the individual points and lines now surrounding your fonts. The dots represent the now scalable path around your text, that will easily resize up and down as needed. You can also save your file as a copy, to avoid making any permanent changes to your original artwork. This is helpful if you think you will ever want to make changes to the fonts in your designs in the future. Once your fonts have been converted to outlines, this means you have also changed your fonts from a type text, to an outlined and scalable image element within your design. 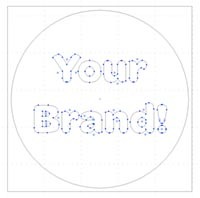 With your text outlined, your file is ready to go, and can be uploaded for printing your custom stickers, and so much more. Now that your text is outlined, you also do not need to worry about sending over additional font files. If you need any additional help getting your artwork ready to send us for your custom stickers, just let us know. We also offer free artwork setup services to help you get everything ready for printing your custom stickers.